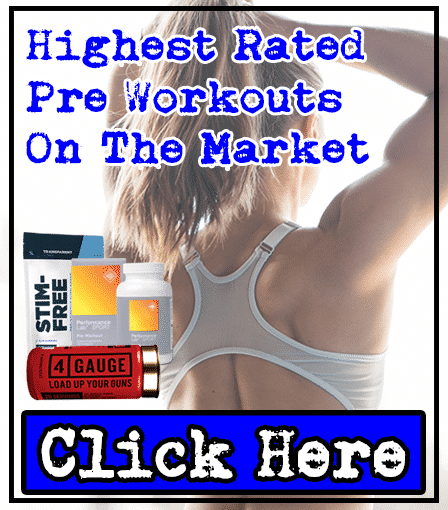 Best and Fastest Way To Lose Weight | Expert Guide To Help You Get Shredded! If you're looking for the best and fastest way to lose weight, then you've certainly come to the right place! Let's get things started by putting this out there - losing weight is certainly something that doesn't happen overnight. You can't just magically lose 30lbs in the space of a week either. There really is no shortcut - no matter what anybody tells you. What it takes is time, hard work, and commitment - you'll eventually get there one way or another. 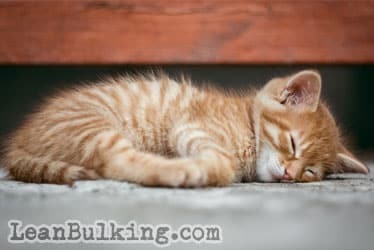 Read on as LeanBulking.com tells you all that you need to know. As we've already mentioned, if you're looking for a shortcut to losing weight, good luck finding an effective one! For instance, there's a plethora of so-called 'crash diets' out there. You see them advertised on television, online, and just about anywhere else you can think of. However, at the end of the day, they simply aren't sustainable. Sure, you can shift a hefty amount of pounds in a short space of time. But, more often than not, you will often end up regaining the weight you'd worked so hard to lose - which is called the 'rebound' effect. You won't lose body fat unless you're in a calorie deficit! So, what's the better alternative? Well, for starters, you need to be in a calorie deficit. For those who aren't sure, it's pretty simple. All that you need to do is burn more calories than you consume - this is a fool-proof way of making sure that your weight gradually decreases! 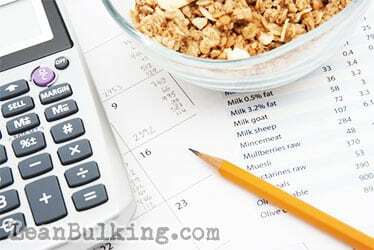 In order to achieve a calorie deficit, you'll first need to work out your BMR (Basal Metabolic Rate). This is the number of calories your body needs to maintain your current weight. If you eat equal to or above your BMR, then your weight will either stay the same, or increase. But, if your goal is weight loss, then you'll need to eat less than your BMR. There are several online calculators available online. All you need to do is input all of your measurements and the calculator will do the rest for you! Working out your BMR & TDEE = more likely to succeed! That's not all though, you'll also need to work out your TDEE (Total Daily Energy Expenditure) too. This is essentially your BMR plus the number of calories you burn throughout the day (which includes small things such as fidgeting with pens and walking to the toilet and back etc - you get the idea). So, if you've got a physically demanding job in which you're on your feet all day, lifting heavy items or doing a lot of walking, your activity level is likely to be higher than that of an office worker. However, an office worker could easily make up for sitting at a desk all day by taking part in activities such as cardio workouts. Losing weight can sometimes be a tricky process. There's a lot of conflicting information out there. But luckily, we're here to help you on your weight loss journey. 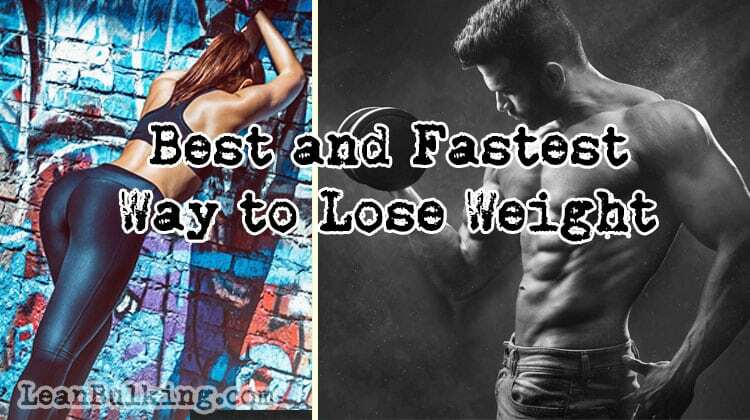 In this section, you'll learn the best and fastest way to lose weight. Each of the following five methods of weight loss have been proven time and time again to work; combined, they can send your weight loss potential into overdrive! A sure-fire way to fall off track with your weight loss programme is to pay little or no attention to your calorie intake. As we've already mentioned, if you've worked out your BMR and TDEE, you'll know exactly how many calories your body needs. But, as we're talking about weight loss, you'll need a calorie deficit in order to reach your fitness goals. In this current day and age, it's easier than ever to track your calories thanks to fantastic online tools such as MyFitnessPal. Sure, if you're old school, you could use the trusty pen and paper too - the choice is yours, just make sure to count your calories! Another tip for counting your calories is to invest in a set of food scales. It might seem like a chore weighing out your food. But, if weight loss is your goal, then you'll need to know exactly how many calories you're taking in, and there's a reason why elite bodybuilders weigh their food - it works. You could easily be consuming way more than what you think. So, if you're reaching a plateau and your weight loss has stalled, then this could be the reason why! 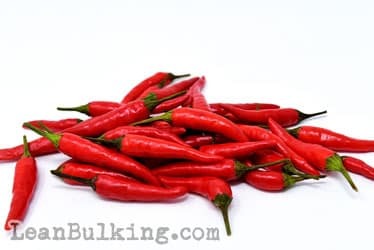 Eating more thermogenic nutrients is easily one of the best and fastest ways to lose weight. This is because they increase your metabolism, which in turn results in greater weight loss potential. Take green tea for instance. As it contains caffeine, this helps to reduce cravings, which means you're less likely to snack unnecessarily. But, it also aids weight loss too thanks to 'catechins'. These are polyphenols which help with the process of thermogenesis. Or, in other words, the burning of calories. Green tea isn't your only option, though. 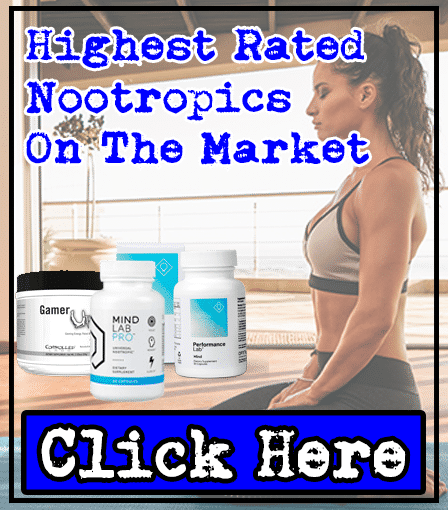 There are many other effective thermogenics out there such as Green Tea Extract and even Caffeine has shown to deliver some thermogenic effects. But if you really don't like the taste of Green Tea or don't like eating spicy foods, then we don't worry. 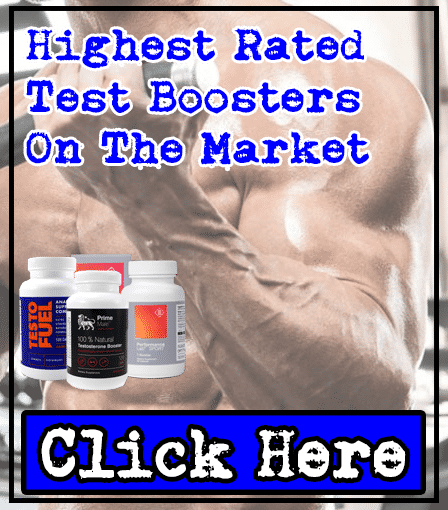 We personally consume fat burner supplements while we cut for this very reason - you can check out our top 3 fat burners that we've tried and tested here. 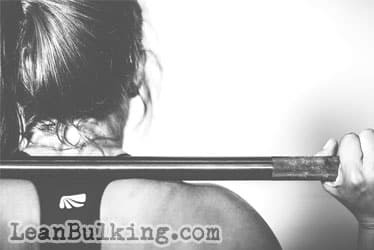 If you're a female reading this, then our female fitness expert, Kelsie tested some fat burners for you here. One of the best ways to accelerate your weight loss potential is to lift weights. Whilst cardio exercises can increase your metabolism and fitness levels, it's important not to rule out lifting weights. The more muscle mass your body has, the better you'll look once you've reached your weight loss goal. You wouldn't want to end up with the 'skinny fat' look now, would you? But, that's not all. If you've spent endless hours in the gym building muscle mass, the last thing you want is for all that hard work to go to waste, right? Well, lifting weights basically ensures that you'll retain optimal amounts of muscle (and look even more toned once you shift all that body fat). This can only lead to good things - without you being left with loose skin or not being pleased with your appearance after so much hard work. It's common knowledge that consuming sugar is bad for you. Especially if it's the sugar that's found in processed foods - you know, the ones that everyone knows that aren't good for them. There's plenty of people out there who have a sweet tooth. But, there really is no need to keep reaching for the nearest chocolate bar. Not only will you be consuming unnecessary calories, your insulin levels will spike too, only to 'crash' not long after. 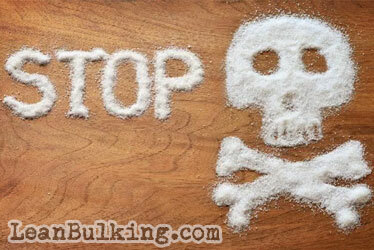 Processed sugars only provide a short energy burst, and they often contain a high number of calories too. If you simply can't bear the thought of cutting out sugar entirely, then there's plenty of healthier alternatives out there. Choose to eat fruit instead - strawberries, an apple, or a banana are all great options. But, make sure you don't go overboard. The sugars contained within fruits may be natural. But, you need to make sure you keep an eye out for the amount of sugar you're consuming. Everyone knows that getting a sufficient amount of sleep is important for overall wellbeing. If you don't get enough, then you'll simply end up feeling cranky, unmotivated, and perhaps less productive than you could be. No-one, really wants that now, do they? But, studies have indicated that not getting enough sleep can reduce your weight loss potential significantly. So make sure that you get at least 8 hours a day - you'll feel refreshed and help your body lose optimal amounts of body fat too. 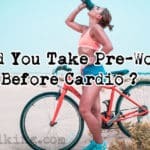 If you're reading this article, you're searching for the best and fastest way to lose weight, right? Well, one of the best things you can do is increase your water intake - making sure you're drinking at least 2-3 liters per day. Some people often underestimate how much water they're drinking throughout the day. But, it really helps to keep you on track with your weight loss program. Not only will it reduce the feeling of hunger, it will also help to boost your metabolism too. In other words, the foods you eat will be processed by the body more efficiently. As well as this, it's really beneficial for overall health too! You'll feel better AND look better. What could be greater than that?! But, that's not all you could do though. Walking is another fantastic method to accelerate your weight loss potential. Whether it's skipping the bus journey or ditching the car, walking is a great way to burn those extra calories. You'll burn more calories than what you think too, and every opportunity to get active can only be a good thing! If your commute to work or place of study is a little further though, walking isn't your only option - you could even swap four wheels for two. No, we're not talking about getting a motorcycle - we're talking about getting those legs working and get cycling! So, there you have it! By this point, you should know that the best and fastest way to lose weight is to take your time and stick to a long term plan. It's definitely not an overnight process, that's for sure. Losing weight is and should be a gradual process. If you make a plan and stick with it, the results will soon start to show. Crash diets aren't the way forward when it comes to losing weight - they lack longevity, and 9 times of out 10, you'll just end up regaining the weight. But, if you're willing to accept that weight loss takes time, you'll get there one way or another. Once you do reach your goal, we promise it'll all be worth the wait! You can eat all the salads you want, but if you’re not prepared to calculate your BMR (or even better, your TDEE) and eat under that calorie limit, you’re not going to see results. So know how many calories you need to stay under to lose weight. Lift weights in the gym. Get your diet in check. 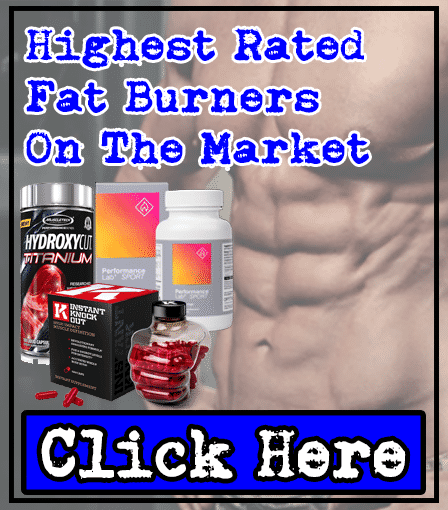 All of these things will put you on the right path to sculpting your dream 6 pack physique or bikini beach body.